An event at Inner Temple brought together barristers and clerks to share views and to talk about the solutions that can cope with current challenges. 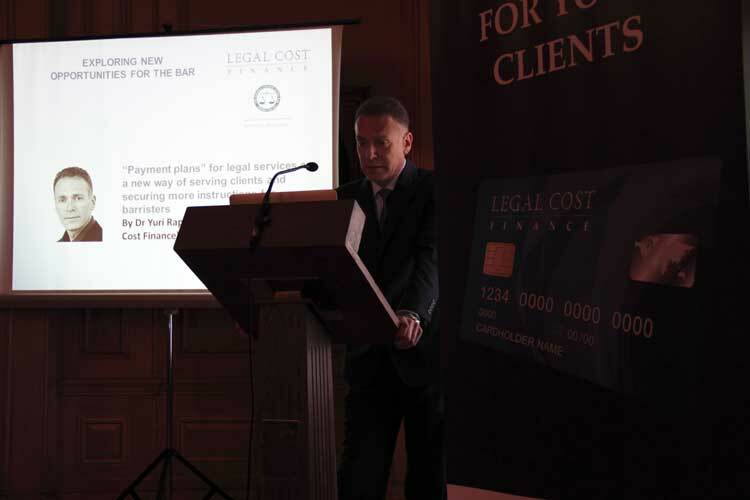 Legal Cost Finance, an innovative financial boutique that provides a payment solution tailored for the legal services market, with the support of the Honourable Society of the Inner Temple and the Bar Council, organised a seminar “Exploring New Opportunities for the Bar” on 11th of June, 2015. The event took place at Inner Temple’s Parliament Chamber and welcomed more than 70 bar professionals, including Heads of Chambers, Directors and Senior Clerks. Chaired by Sarah Forshaw QC, the seminar explored opportunities and issues surrounding various systems and processes that support Direct Public Access. A panel of experts that included Paul Mosson from the Bar Council, Kevin Leigh from No5 Chambers, Andrew Dines from Pegasus Professional Development, Jonathan Maskew from Shensmith Barristers, and Dr Yuri Rapoport – CEO and founder of Legal Cost Finance, shared their experience on using different approaches and tools to cope with current challenges of legal services market. At the event, panellists discussed the impact of Legal Aid cuts on the legal profession, ongoing changes to practice rules, the dilemma, difficulties and opportunities that undertaking public access work posed for barristers, and “payment plans” for legal services as a new way of serving clients and securing more instructions for barristers. “We are delighted to see that bar community is so responsive to current challenges of Legal Aid and rising court fees. We understand that the legal services market is seeking out new opportunities like never before and we hope that the discussions we had today will shed some light on this subject, providing a fresh outlook and offering interesting approaches.